Razer, the leading brand in gaming merchandise, has recently announced a new notebook wireless mouse, named Razer Atheris, that is specifically designed for performance and productivity. The mouse comes with a wide range of features that makes it a top competitor in its category. The tech company claims that its Razer Atheris can last around 350 hours on just one pair of AA batteries. This is ideal for users who like to game on the go. Students and businessmen alike will also find the extremely long battery life to be highly useful. The mouse uses Razer’s Adaptive Frequency Technology, which means its connection will be highly consistent and stable. This technology is far more reliable than the traditional bluetooth connection method a typical wireless mouse uses. Razer Atheris comes with a small USB device that can be conveniently stored away inside the mouse. In order to utilize AFT, users only have to connect the USB dongle into the computer or laptop they wish to connect to. However, if your laptop does not have an available USB slot, then the mouse can also use Bluetooth to connect to your computer. 7200 DPI means that users will have incredibly accurate movement. This feature is especially useful for gamers, as increased accurate movement can give them an advantage. The mouse is designed in such a way that makes it a perfect fit for both right hand and left hand users. Furthermore, there are five independent buttons that can be programed to controls of your choosing. It will be available in tech venues around the world towards the end of this year. However, eager individuals in the United States can choose to order the mouse from Razer’s online store. 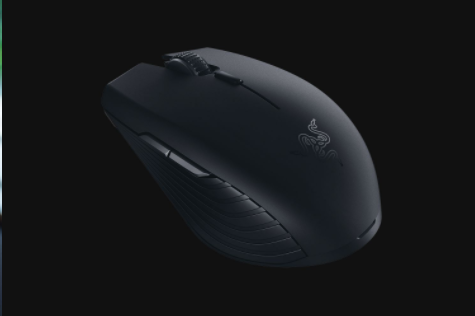 The Razer Atheris currently costs $49.99 USD and has free shipping for shoppers in the United States. Razer has long been the company that produced the best of the best gadgets designed for gaming. So, the release of the Razer Atheris is excited news for Razer fans and PC gamers alike.